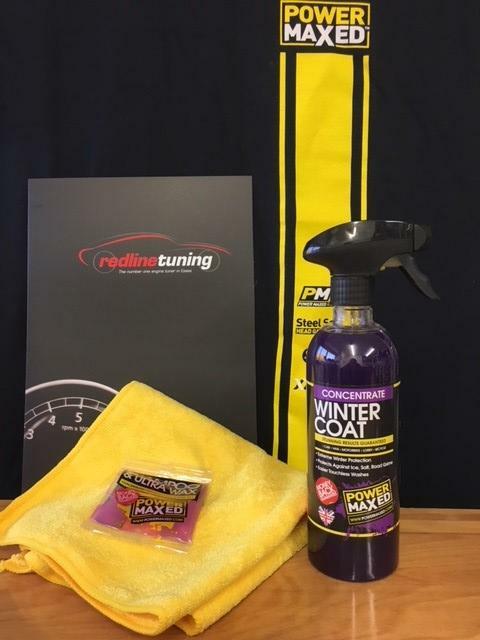 Power Maxed Winter Coat 500ml + Free Complimentary Micro fibre Cloth and Shampoo & Ultra Wax Sachet. 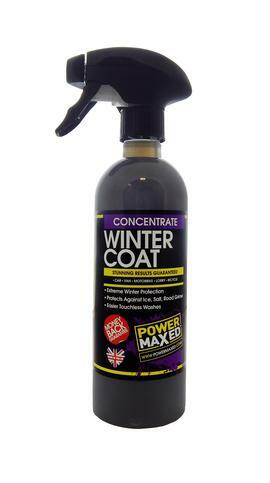 Power Maxed Winter Coat gives up to 6 months protection during the winter months including protection from salt damage. It can be used on the entire car including glass, plastics, alloys, steel and rubber and makes cleaning your car in the winter easier. Paintwork's lustre is instantly improved and feels smoother. We recommend first application to be used as supplied, and 4 weekly dilute and spray over car.